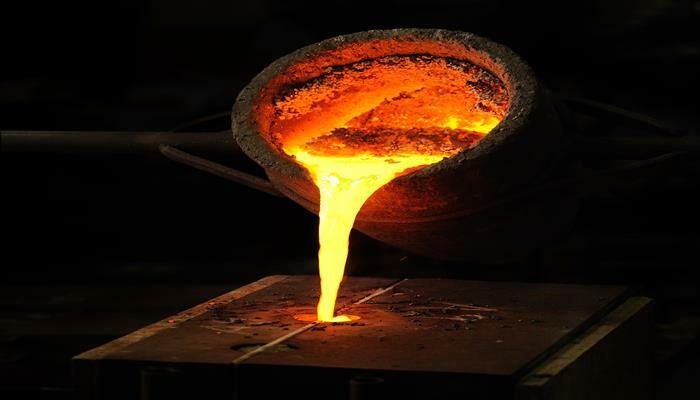 We supply Investment Castings ranging from a few grammes (approx. 1/2 oz.) in weight to about 40kg (88 lb). 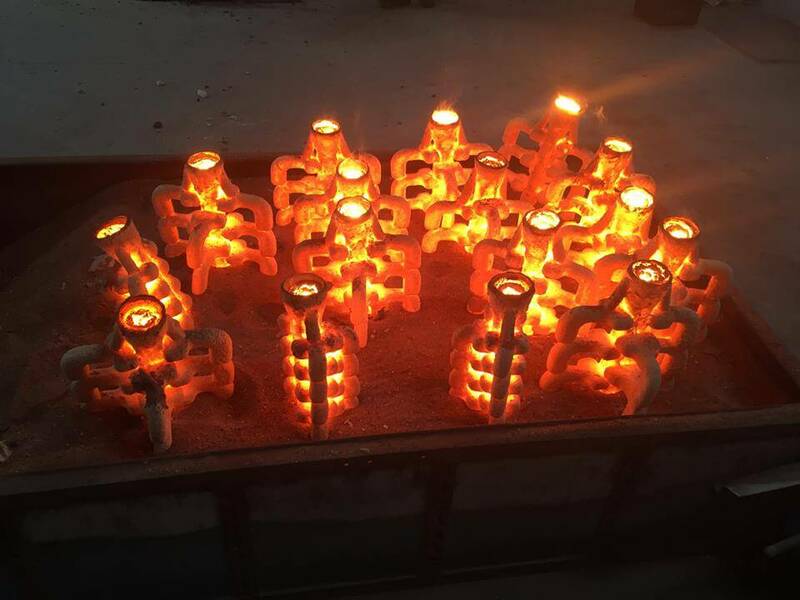 Investment Casting (also known as Lost Wax Casting) is a precision “near net shape casting methodology. The accuracy and definition of complex shapes achieved by the process significantly reduces the number of production steps e.g. fabrication and machining resulting in a high-quality component at reduced cost. Elimination or reduction of downstream operations such as machining significantly reducing total cost. We design manufacture Investment Casting tooling (known as Dies) from customer supplied drawings and solid models. The dies are used to form the wax patterns that will form the mould cavity to cast into. All our tooling is water cooled and CNC machined from Aluminium, give excellent surface finish and tool life. 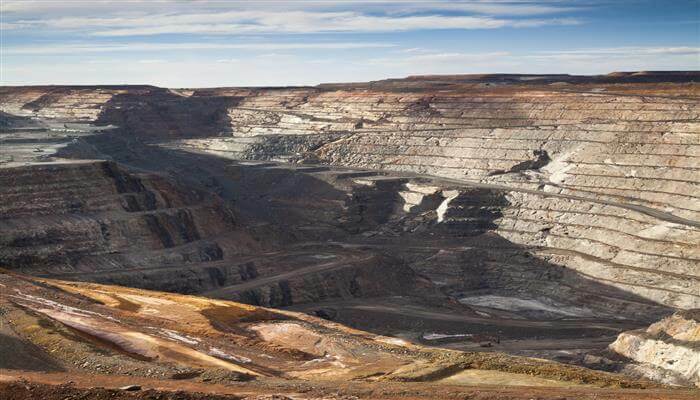 The addition of relatively tiny weight % amounts of carbon, to soft, weak, ductile Iron has tremendous effects on the material properties and convert pure Iron to Steel. Note 0.05% carbon is only 500 ppm (parts per million). Whist carbon steels nominal only require carbon as an alloying element to the iron, invariably they also contain Manganese and Silicon for the practicality of manufacture especially to facilitate casting. 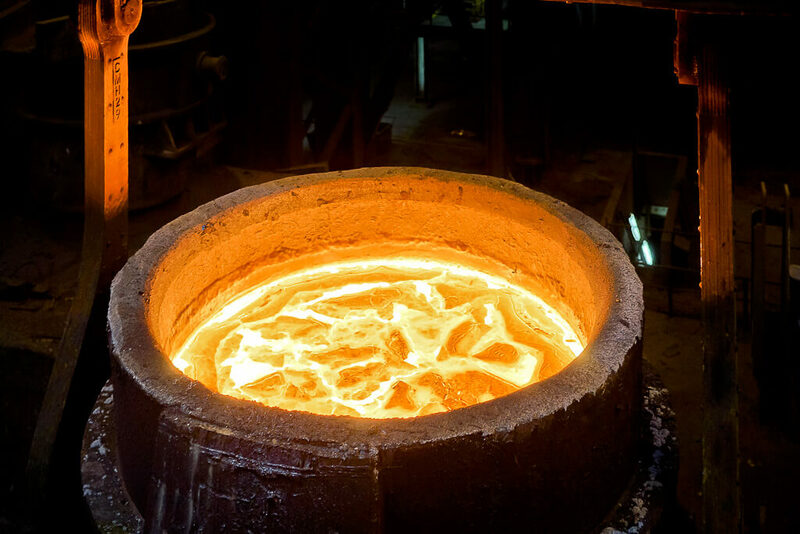 Note that, even wrought alloys are initially cast as ingots, billets or slabs prior to hot working into wrought products. All steels typically contain some C, Mn, & Si. Mild steel also known as plain-carbon steel contains approximately 0.05–0.25% carbon. Mild steel has a relatively low tensile strength, but it is inexpensive. Surface hardness can be increased through carburising. Note 0.05% carbon is only 500 ppm (parts per million). Approximately 0.3–0.6% carbon content. Can be hardened and tempered and balances ductility and strength and has good wear resistance. Approximately 0.6–0.9 % carbon content. Can be hardened and tempered. Very high hardness and strength achievable offset against decreased toughness. Tempering the hardened material allows a compromise, between hardness and toughness. Note: Values indicated in tables are for reference only. Low alloy steels are used when strength requirements are higher than those obtainable with C steels. Low alloy steels also have better toughness and hardenability than C steels. Relatively low additions of certain elements, and combinations of these elements, to a plain carbon steel composition can have a dramatic effect on the mechanical properties and heat treatment response of the steel. These elements include, Cr, Ni, Mo, V, W, Cu, Si, and Mn. The compositions of low alloy cast steels are characterized by C contents primarily under 0.45 % and by small amounts of alloying elements, which are added to produce certain definite properties. Low alloy steels contain alloying elements, in addition to C, up to a total alloy content of 8 %. These alloys are predominantly ferritic with up to 30% chromium and up to 7% Nickel. They have relatively low hot-strength and are seldom used in critical load bearing applications above 760°C. Commonly used in applications involving uniform heating and high sulphur atmospheres. These alloys are characterised by good high temperature strength, Resistance to Oxidising and reducing Atmospheres and are particularly useful for atmosphere with high sulphur, particularly in reducing atmospheres. 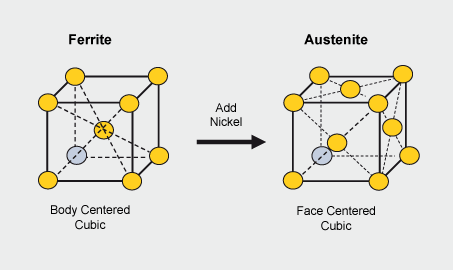 They typically contain 8% to 20% nickel and 18% to 32% chromium and duplex to fully austenitic microstructures. Fully Austenitic and contain 25 to 70% Nickel and 10 to 20% Chromium. Since no brittle phase forms in thee alloys at elevated temperatures, they can be used satisfactorily up to 1150°C. They have good hot-strength, carburisation resistance and thermal fatigue resistance. They are widely used for load bearing applications and applications subject to cyclic heating and large temperature differentials. They will withstand reducing and oxidising atmospheres satisfactorily but high sulphur atmospheres should be avoided.